Cases of farmers committing suicide aren't new in India and people have constantly tried to bring their predicament to light. 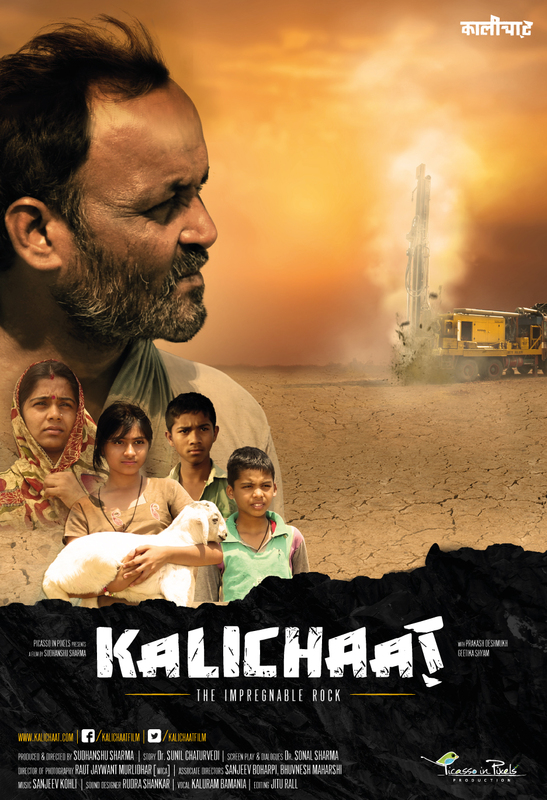 Sudhanshu Sharma brought us their story with his directorial debut 'Kalichaat' that premiered in London last week in association with Asset India. The film is a sharp depiction of the plight of the farmers in India, and the perverted system that eventually pushes them into doing the inevitable. The film's story talks about Sitaram, a farmer in central India, who thrives on lesser than limited means. With a failed monsoon and his land yielding nothing but weed, Sitaram's desperation leads him to dig a well in his land. He hits a rock and reaching beyond it is out of his capacity. However, he reaches out to a bank and finds himself in a dizzying maze of unending tryst authorities, loan sharks, and religious gurus. 'Kalichaat' was conceived out of a book by the same name, written by Dr Sunil Chaturvedi, an active social worker and a profound writer. He is also a founder of NGO Vibhavari, an organisation that helped inspire Sudhanshu make the movie. "Making of 'Kalichaat' was more out of an urge to get this common issue addressed more emphatically than for any professional gain. It was about doing my bit in my capacity for farmers of my land," Sudhanshu said. "My association with Vibhavari made me notice and realise these problems from close corners. The complex governmental procedures for largely illiterate farmer community, along with corruption at root levels and no proper mechanism to advise farmers on the matters is what makes these issues even worse." Screenplay and dialogues are written by Dr Sonal, founding member of the NGO. Vibhavari, an established non-profit organisation working on water crisis and farmers and landless workers' rights for the last two decades, helped influence Sudhanshu's venture. Dr Sonal's experience directly dealing with the people of rural India gave 'Kalichaat' clarity and authenticity in highlighting the woes of Indian farmers. "During discussions, we found the story to be a great narrative to bring forth the issue in an interesting manner," said Sudhanshu. When asked if he had plans on producing more such non commercial movies, he said, "My production 'Picasso in Pixels' and the young team forming it is extremely excited about their first production of this proportion and the praise it is gathering. This puts enough steam in us to go further and make more such socially-valuable pieces of work. For us it is important to keep entertainment values associated with any such project, be it good music, sound actors, and necessary technology to make the work entertaining while being socially beneficial." He added, "For us, there is no definite line separating non commercial movies from commercial ones. We believe a well-made movie, even if for a social cause, carries enough opportunities to get commercial success. Talking about his next move, he said, "Even before we began work on 'Kalichaat', Team PIP has been working on a dream project of mine. It is a movie on Badminton, and will be made with known actors and a budget far exceeding this one. It is tentatively named 'Love-All', and we all have worked really hard on it. It has all the elements of cinemar for larger audience, while with a strong social message about the condition of sports in this nation of 1 billion plus. However, the financial demands of this project are much bigger requiring outside investments from interested parties. Some have already chipped in after the brief on the project, still, there is scope for a collaboration."